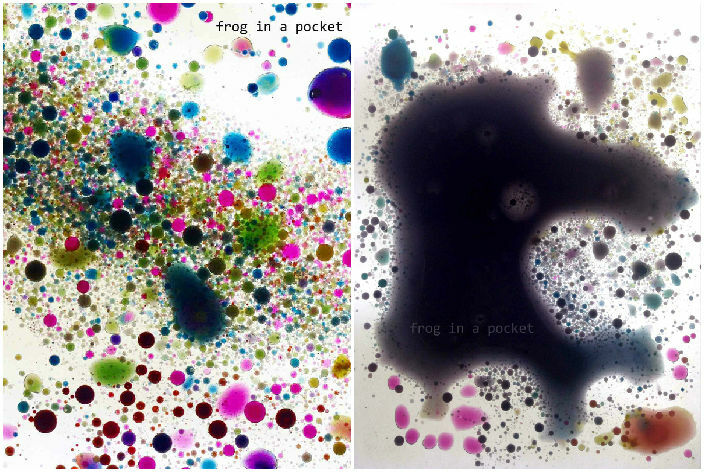 Frog in a pocket: Oil and watercolors on the light table. Playing with watercolors and oil on the light table was a hit in our house! It is both science and art activity. 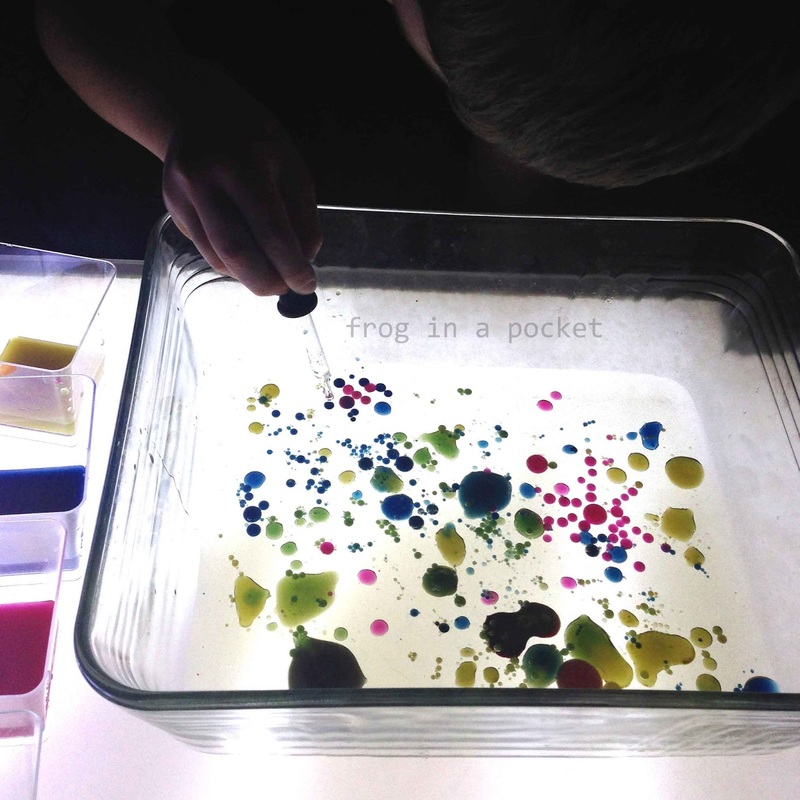 Child explores and experiments with two liquids to find out if they mix together and creates amazing artwork at the same time! Fill in the tray with oil (about 2-3 cm high). 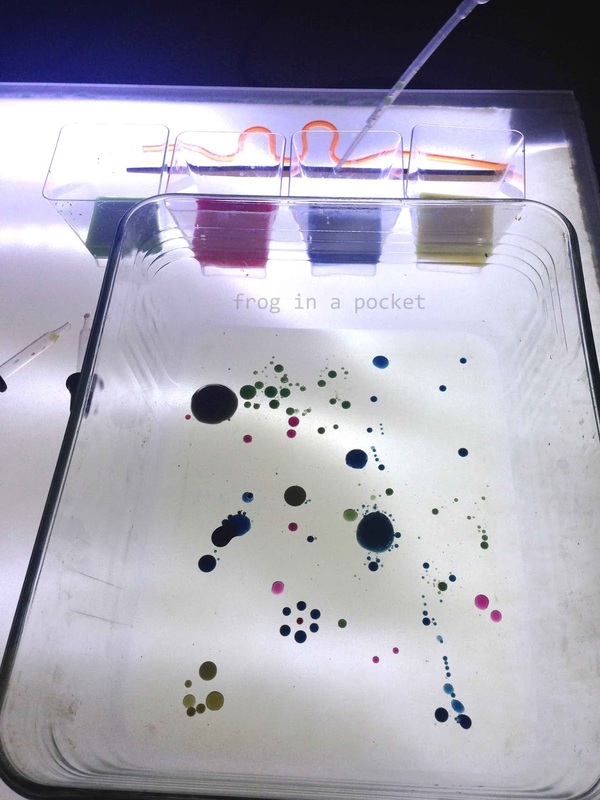 Let your child put drops of watercolors in the oil using a pipette. This is great to practice fine motor skills. It's time for some science! As the child observe watercolors not mixing with oil you can explain why it happens. 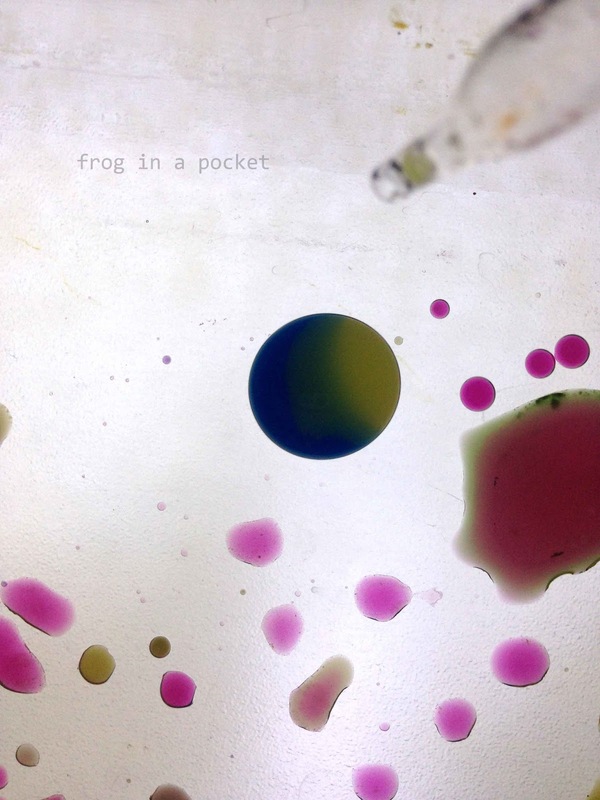 Our 5 year old Mr Frog was happy with explanation that water drops (molecules) are attracted to each other and not to oil (molecules) that they just don't mix together. The oil floats above the water because it has a lower density (of course there were more explanations and never ending questions about molecules and atoms). Then check what happens when you put two different colors drops very close to each other. As the water molecules are strongly attracted to each other child can experiment and observe colors mixing. Just put two different colors drops close to each other and see them move, merge and mix colors. It was great fun! At the end Mr Frog used the sticks and straws to mix everything together. And even when the mixture became all black it still looked amazing! If your child uses a camera let them practice ICT skills and take a photo of their amazing oil and watercolor art. This is a lovely idea - so simple. 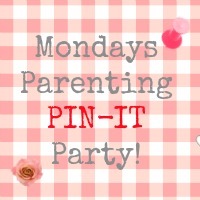 Thanks so much for taking part in the Parenting Pin it Party.